The artwork is embedded into the window of an ancient wall. The work is a transcription of the founding text of the Grey Nuns religious order. 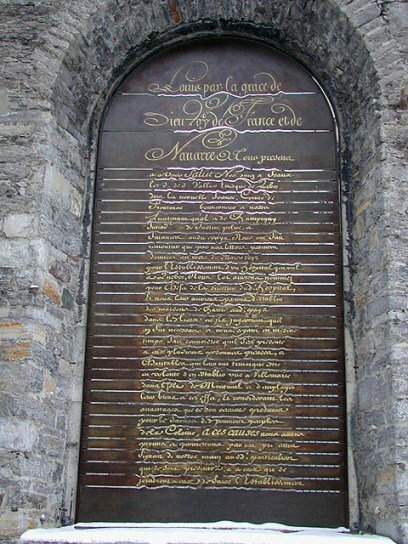 The text is written on engraved brass sheets and inserted in three semi-circular arches in the wall. Text of the "Lettres patentes pour l'établissement d'un hôpital à Ville-Marie dans l'ile de Montréal". From a letter written by Louis XV, on June 3, 1753, allowing Marguerite d'Youvlle to create a religious order. The hospital's first church was built by the Charon brothers. It was built in 1693. The existing stone wall on the site dates back to the original construction. In 1872, the chapel was demolished in good part to allow for the extension of St-Pierre Street. 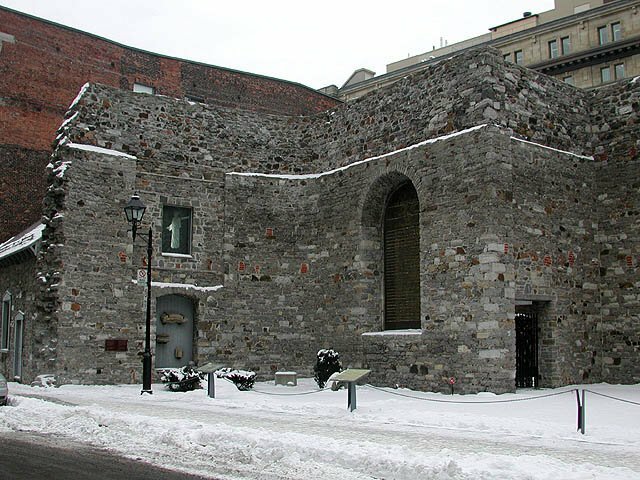 In 1991, the stone wall and the vestry (built in 1771) were restored. 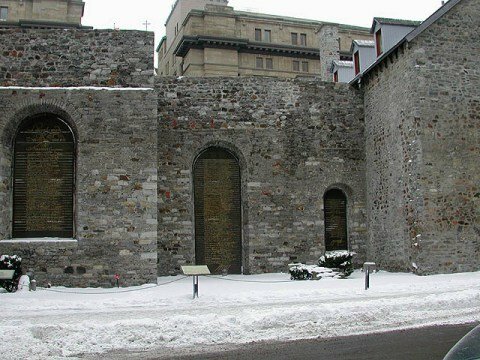 The Grey Nuns have dedicated their life's work to the poor, the sick and orphans.